The industrial coating industry is an ever-changing trade. 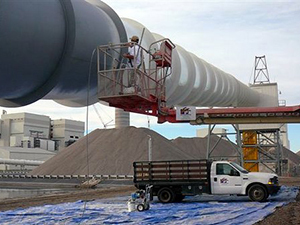 Capital Coating, Inc. is right there at the forefront leading the industry. Our equipment is the top of the line and so are our technicians. With quality equipment and certified team of coating experts, we are confident in our ability to give your coating project the attention it deserves. We guarantee to provide quality work on time, every time. For your industrial coating project, we would be happy to hear from you. Call us today at (717) 442-0979. Industrial coatings are applied in thin layers to materials that need to be protected or improve their conductivity. If applied by a professional, coatings will provide you with years of fortification. There are many reasons people have their equipment treated with an industrial coating; reasons as simple as making assembly of your components worry-free, protection from mother nature, and for extra fortification to strengthen components that are regularly under pressure. Different coating types are applied in various ways. 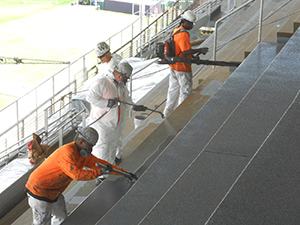 Once the right coating has been determined for you, we will discuss the application process. 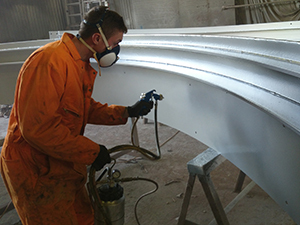 It is vital to our industrial coatings success that the right type of coating is selected. Let us know exactly what you are looking for in regards to your coating and we’ll find the best option for your needs. For more information on our coating services, please call us at (717) 442-0979.